Development Management Group Co., Ltd. (DMG) has recently agreed to partner with the consortium of thinkstep-SGS to provide clients with a smooth process for EDGE green building certification. Client representation during the certification process and assistance with gathering and uploading required documentation embedded in the offer. A one-stop-shop to easily bring a project forward for EDGE certification and reduce bureaucratic hurdles. Design intelligence on how to choose the most cost-effective systems and solutions for a project in a particular city with customer preferences in mind. EDGE (Excellence in Design for Greater Efficiencies) is a green building certification system that enables design teams and project owners to assess ways to incorporate energy and water-saving options into their buildings. An innovation of IFC, a member of the World Bank Group, EDGE combines speed with market intelligence, bringing an investment focus to green building certification in more than 140 countries. EDGE responds to the need for a measurable solution to prove the financial case for building green. EDGE is comprised of a web-based software application, a universal standard and a certification system. If your project earns a minimum prediction of 20% less energy, water and embodied energy in materials, then it meets the EDGE standard and is ready for certification. The collaboration between DMG and thinkstep-SGS ensures that clients receive expert advice and service from start to finish for the certification of their EDGE projects. DMG has been in the SE Asian market for over 20 years. DMG provides the local knowledge of suppliers and products in the regions, as well as its experience in green building certification to help clients succeed with their EDGE applications and submissions. The thinkstep-SGS consortium brings a unique blend of extensive knowledge in development and administration of green building standards, with world-renowned services in inspection, verification, testing and certification. kstep-SGS ensures that clients receive expert advice and service from start to finish for the certification of their EDGE projects. DMG has been in the SE Asian market for over 20 years. DMG provides the local knowledge of suppliers and products in the regions, as well as its experience in green building certification to help clients succeed with their EDGE applications and submissions. 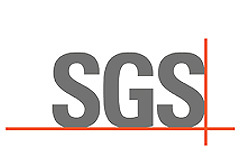 The thinkstep-SGS consortium brings a unique blend of extensive knowledge in development and administration of green building standards, with world-renowned services in inspection, verification, testing and certification.